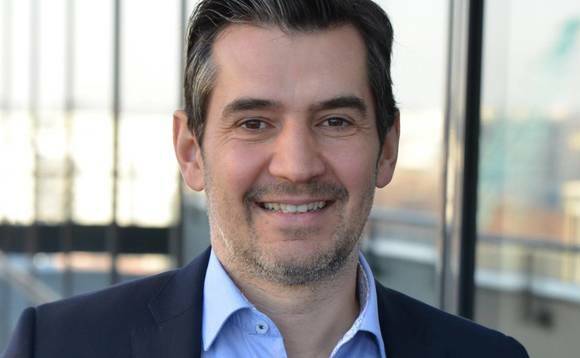 Grégoire Ezanno, the Business Development Director of APRIL Assistance, part of the Lyon-based April Group insurance company, says financial advisers must consider repatriation cover when advising their clients on health insurance. As financial advisers increasingly take on the duties of advising expat clients on their “whole of life” needs rather than just, say, a savings plan or life insurance, we are advising them to consider the whole issue of repatriation cover when discussing any kind of medical insurance plan. This is because repatriation cover is not just one of the most important parts of any overseas health insurance protection product, it is particularly important to those expats who live in certain high-risk jurisdictions. For advisers based in such a place, or whose clients travel regularly to such areas, it is all the more worth their time becoming an expert in this area. Certainly it is imperative, when recommending a health insurance policy of any kind, to check the detail of the repatriation cover offered by the plan, and to be sure of precisely what it will or will not guarantee. For the short term traveller, repatriation cover is the means by which the individual would get home, following an accident. Skiing holidays are perhaps the most obvious example of when such coverage is imperative to have before hitting the slopes. Medical insurance, assuming it includes dangerous sports cover, will ensure an individual gets down off the mountain and into a hospital, should he or she be unlucky enough to have an accident. But what many people do not realise is that this will be the limit for some short-term travel plans. In other words, such basic plans are designed to patch you up, but normally don’t go further. As many short term health policies will not cover the ongoing costs of local treatment and medication, the individual – or you, as the individual’s adviser – must ensure that if the need arises, he or she can get back to a country where their recovery can be overseen by professionals, and where their medical costs will be fully covered. Those who are badly injured outside of their home countries and who aren’t able to get home right away typically find that their medical bills in the country in which they are being treated mount up very quickly: treatment bills running into the tens of thousands of pounds are not uncommon, following serious road or sports injuries. Equally, if that badly injured patient then decides to fly home anyway to escape the high local treatment bills, the cost of specialist transport can be daunting, especially if the individual needs to be accompanied by a medical team. For someone who has suffered serious injuries or who is still very ill following major surgery, specially adapted aircraft are available – although their use obviously would add considerably to the repatriation costs. Here at April, we break the typical medical evacuation and repatriation benefit into six main elements. The first is basic medical evacuation coverage, which arranges for transport to the nearest adequate medical facility, if the local medical facilities are found to be inadequate. This could be particularly common following even a minor accident in places such as Africa, where the quality of local facilities, medicine and medical supplies can be so poor that evacuation is essential. Another pertinent element of the coverage would be for such cases as cancer treatment – often the newest and best drugs are simply not available outside of the most developed countries, so patients are frequently moved to access the best doctors and treatments. Another typical situation occurred recently, when there was a major outbreak of Ebola in Africa. A number of British patients and two nurses, William Pooley and Pauline Cafferkey, had to be flown rapidly and securely in specialist transport aeroplanes back to facilities in the UK, where quarantined and specialist medical support could be offered. At the other end of the scale, medical repatriation can also be arranged for a traveller to simply return to their home country to receive care when recommended by a doctor, and this is agreed by an air transport specialist. This is probably the most common use of the short-term insurance plans that offer repatriation benefits that we see. Repatriation of a deceased person, while thankfully a rarely-needed feature of the average medical insurance plan, also requires specialist facilities, which in turn translates into a higher cost. Repatriation of remains arranges for the return of a deceased person back to their place of residence, or where they are to be buried. Finally, a popular benefit offered as part of some longer term international private medical insurance policies enables the policyholder to elect to be treated in another country of their choice, even if local facilities are adequate. This might be because having close family to hand could be beneficial, or it could simply be the result of personal preference. Either way, repatriation is the means by which this will be achieved. Another factor we at APRIL think advisers should consider, when choosing which private medical insurance company to recommend, is whether the company in question has the scale of coverage and experience to do the job. But then we would say this, given that we have 43 offices around the world, some 150 exclusive local agents, and have been helping clients with repatriation and other forms of assistance for years, and have done so by making use of evacuation providers who operate separately from the primary insurance provider – which we think is important, as it removes a potential source of conflict of interest. Such an arrangement can free the design of an insurance policy up, giving the insurer the flexibility they need to develop exactly the right policy for an employer, rather than be limited in terms of the choice of service provision. As insurers compete to offer the best policies to individuals and groups of employees, evacuation cover is one area in which competition and differentiation is genuinely possible, in addition to simply being a vital part of any effective policy for expatriates and one of the first benefits a potential expatriate buyer should check when considering the options. Grégoire Ezanno is the Business Development Director of APRIL Assistance. Based in Paris, APRIL Assistance has a network of fourteen integrated contact centres, located in the Americas, Europe and Asia. APRIL Assistance is part of the APRIL Group, founded in France in 1988. Last year it re-branded and re-launched UK-based MediCare International as APRIL International UK, to create and distribute international private medical insurance policies to groups and individuals. The Group employs 3,800 people in 34 countries, and posted sales in 2014 of €766.3m.